Awarding winning NIMA Brush is an Irish professional Makeup Brush company specialising in Professional Make Up Tools & Accessories. The company was established by long time Irish makeup artist, Niamh Martin, who has over 15 years experience of working as a professional within the Irish and UK beauty industry. NIMA Brush are manufactured using the most natural fibers and strongest brush ferrules. 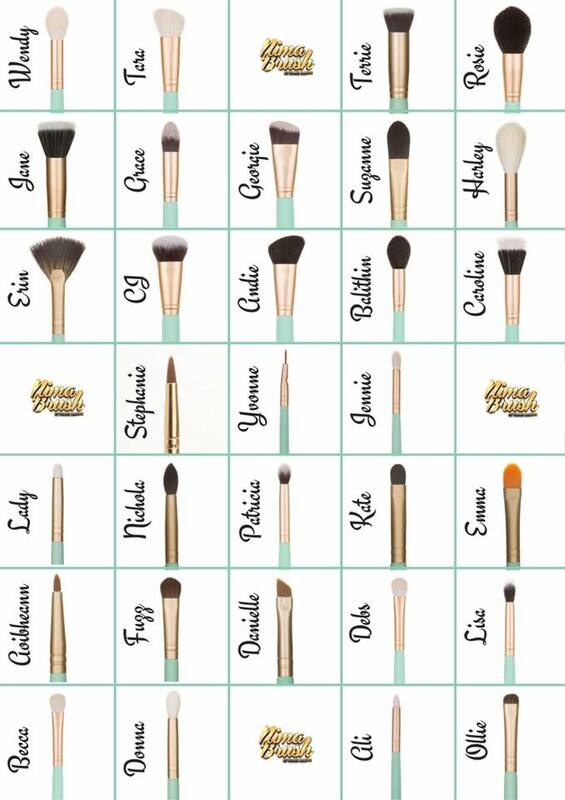 This will ensure your make up brush not only lasts for you, but is of the highest professional grade. 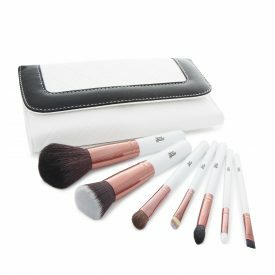 A fantastic beginners brush set for those looking to invest in a good quality set of brushes for the first time. 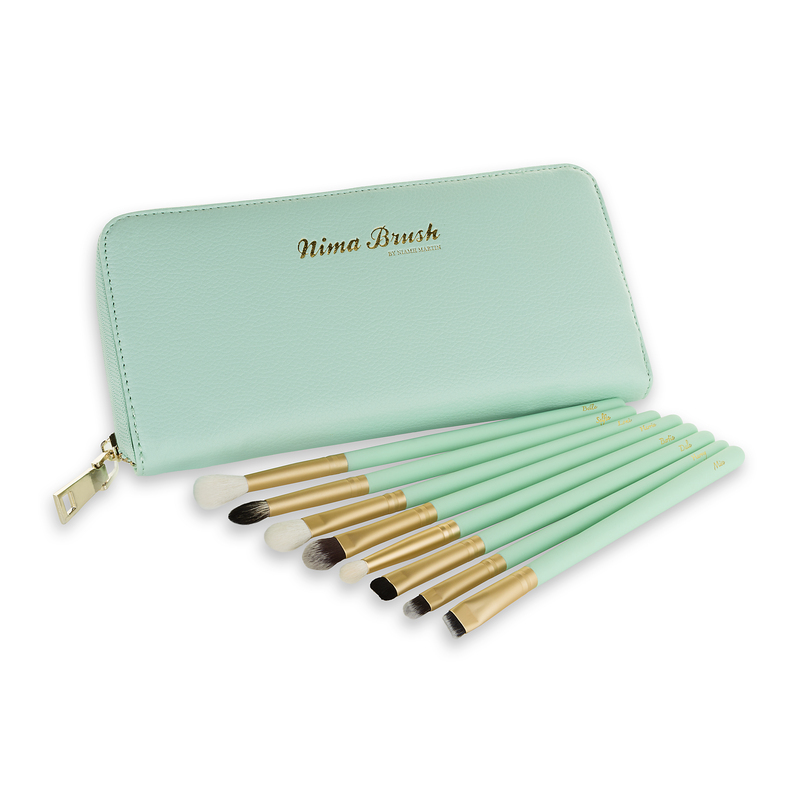 Also works as a handy travel set for those on the go with slightly shorter brush handles and a fold over case to store your brushes and keep them clean and protected. 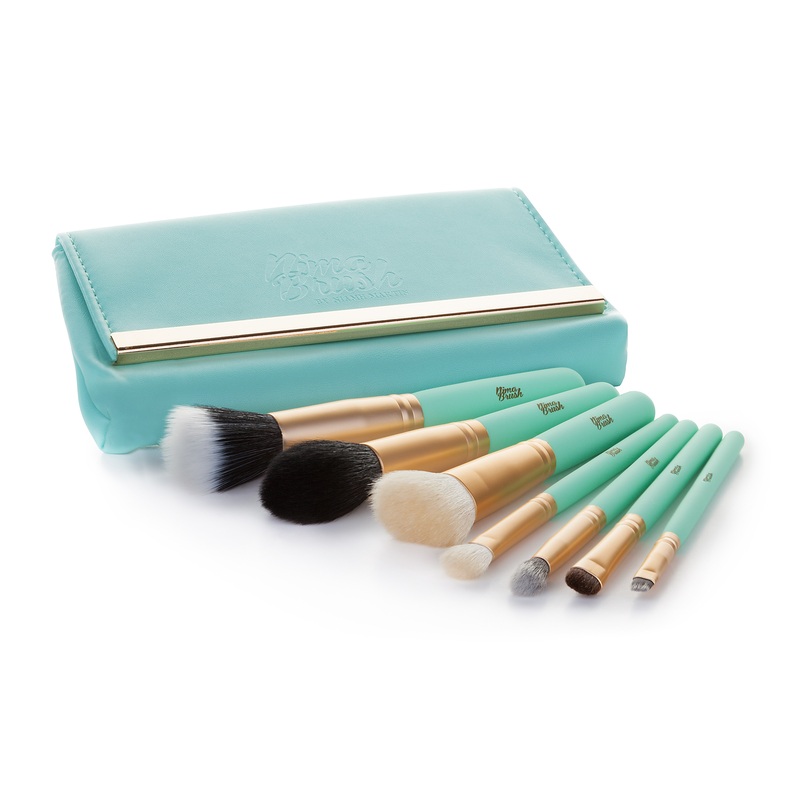 7 professional brushes from the Elite Collection housed together in a classic quilted style clutch case. 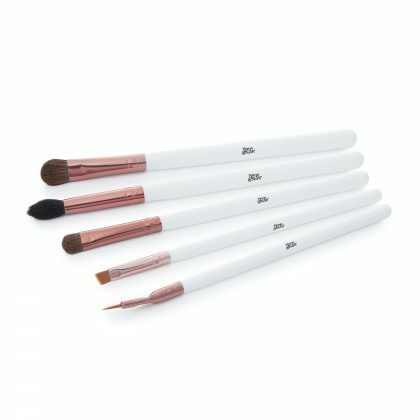 7 of the bestselling brushes from the Artistic Collection. Complete with shorter handles for on the go application but still with the exact same high quality standard of hair of that of their older sisters! Loni – For shading or blending of powder or creamy products. The Nima Brush Egg can be used to clean your makeup brushes cutting the time in half, using less soap or shampoo and less water. Check out our video to see how it work. 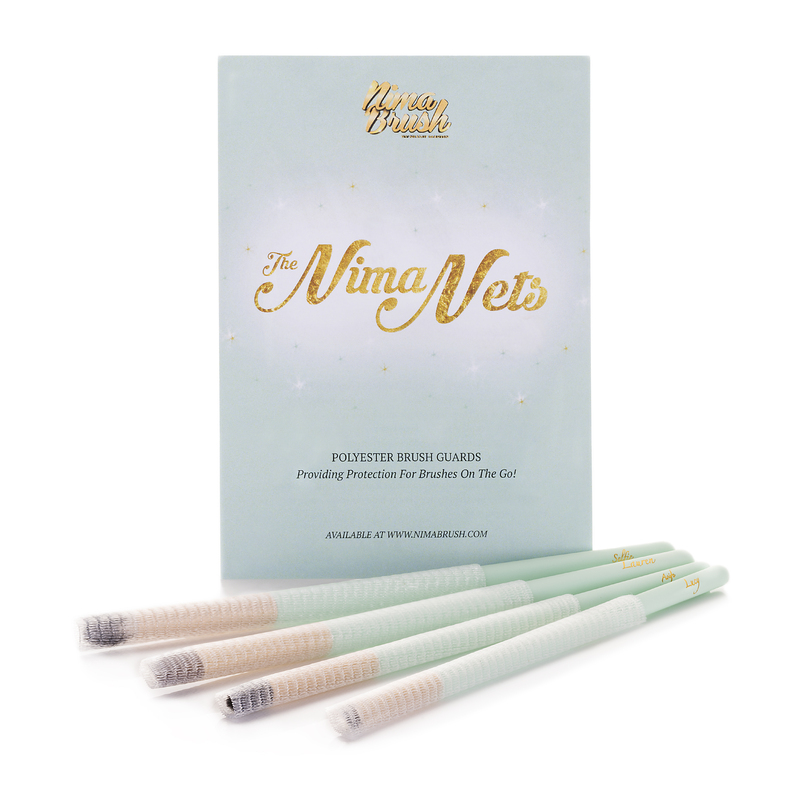 The Nima Brush Egg is available in duck egg blue or blush pink. The Nima Mitt is an Irish, eco-friendly makeup removal mitt brought to us by Nima Brush. It’s simply very, very, tiny fibres (smaller than a human hair) are closely woven and when wet with just regular tap water they can be swept over the skin to remove makeup, oil, grime – all that nasty stuff without causing any irritation to the skin. And that’s all there is to it! No cleansers, no soap or anything.Give your mitt a wash with a bar of soap (not liquid soap, it just doesn’t work quite as well, any bar soap will do) and leave it to dry wherever suits. Don’t leave it sitting damp, whatever you do and for the love of all things holy, do not put it in the washing machine! Treated well these little babies will last you ages and ages.